Welcome to this week’s edition of The Friday Five! The Friday Five is a feature that I post every Friday in which I give my thoughts on a topic that’s related to basketball video games, the real NBA or another area of interest to our community, either as a list of five items or in the form of a Top 5 countdown. 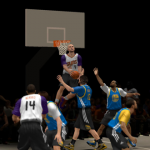 When it comes to basketball video games, we scrutinise them as only a dedicated gaming community can. With so much to prove and several missteps over the years, the NBA Live series has certainly attracted its fair share of criticism. Most of the time, I would suggest that the criticism has been fair-handed, constructive and warranted. However, I do feel that some of the criticisms that have been directed at NBA Live and some of EA’s other NBA offerings over the years have been wide of the mark. It’s admittedly difficult to tackle this subject without sounding like an NBA Live or EA apologist, but it’s not my intention to make excuses or dismiss all criticism. 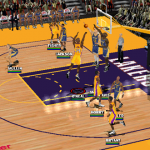 I’m also not trying to downplay the success and brilliance of the NBA 2K series, which is the yardstick for NBA sims and has produced some of my all-time favourite basketball games. 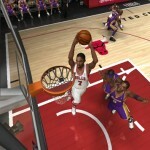 With that said, here are five criticisms of EA’s NBA games that I disagree with. It seems another week has gone by, so it’s time for another edition of The Friday Five! 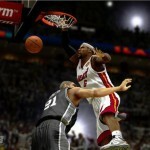 For those of you who are checking out The Friday Five for the first time and are wondering what it’s all about, this is a feature that I post every Friday in which I give my thoughts on a topic that’s related to basketball video games, the real NBA or another area of interest to our community, either as a list of five items or in the form of a Top 5 countdown. 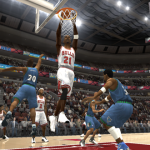 We’re often talking about the things that we want to see added to basketball video games in terms of game modes and features. As with any gaming community, there are a lot of good ideas being thrown out there that developers would be wise to keep in mind. It should also be said that basketball game developers certainly come up with some fine ideas themselves. However, every so often a suggestion is made or a feature is introduced that just doesn’t seem like a good idea. 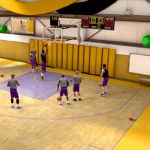 Everyone is entitled to their own opinion of course, but these are five features that I just don’t believe are needed in basketball video games. The week has flown by and we find ourselves at another Friday here at the NLSC, which means it’s time for a new edition of The Friday Five. If you’re unfamiliar with The Friday Five and are wondering what it’s all about, this is a feature that I post every Friday in which I give my thoughts on a topic that’s related to basketball video games, the real NBA or another area of interest to our community, either as a list of five items or in the form of a Top 5 countdown. 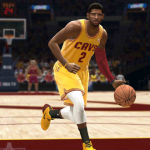 NBA 2K14 current gen hit stores earlier this week and as such, our community is spending a lot of time checking out the game, delving into the various modes and of course, getting a start on modding. My bargain hunting efforts mean that I’m still waiting for my copy of the PC version to arrive from overseas, so I thought I’d momentarily turn my attention to the next gen games, which we’ll be seeing a lot more of very soon. 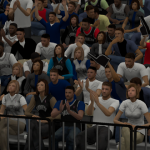 This week’s Friday Five is all about what I’m hoping to see in the next generation of basketball gaming, this year and in the future, as I present to you 5 Wishes for Next Gen Basketball Games. It’s Friday and the weekend is looming, so I’ve got another edition of The Friday Five coming your way. If you haven’t checked out The Friday Five before and you’re wondering what it’s all about, this is a feature that I post every Friday in which I give my thoughts on a topic that’s related to basketball video games, the real NBA or another area of interest to our community, either as a list of five items or in the form of a Top 5 countdown. We’re in the final countdown to the release of the current gen version of NBA 2K14, which will be available in stores on October 1st (and barring any delays, via digital distribution as well). As soon as we get our hands on the game, we’ll be checking out the new features and hoping to see all of the improvements that have been talked about, while also hoping that we don’t come across any gamebreaking issues. What’s the best way to start playing a new basketball video game? That’s what I’m investigating in this week’s Friday Five, with five suggestions for you to consider. We’ve come to another Friday here at the NLSC, which means it’s time for another edition of The Friday Five! 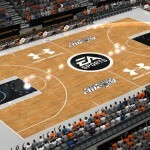 In case this is your first time checking out The Friday Five and you’re wondering what it’s all about, this is a feature that I post every Friday in which I give my thoughts on a topic that’s related to basketball video games, the real NBA or another area of interest to our community, either as a list of five items or in the form of a Top 5 countdown. 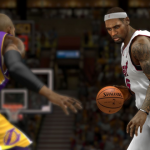 NBA 2K13 modding is slowing down somewhat as we anticipate the release of NBA 2K14 on October 1st. As we prepare to mod a brand new game, as well as continue making updates for other recent NBA 2K titles and the last few PC releases of NBA Live, there are some aspects of our modding community and culture that I feel we need to examine and in some cases, consider making a few changes. This week, I’m offering five thoughts on modding culture here at the NLSC and looking at some ways that we can make our talented modding community even better. It’s Friday once again, which means it’s time for this week’s edition of The Friday Five! For those of you who are unfamiliar with The Friday Five and are wondering what it’s all about, this is a feature that I post every Friday in which I give my thoughts on a topic that’s related to basketball video games, the real NBA or another area of interest to our community, either as a list of five items or in the form of a Top 5 countdown. A few weeks ago, EA Sports revealed that NBA Live 14 will feature a single player career mode called Rising Star. While I’ve traditionally been more interested in modes like Dynasty and Association, I spent a lot of time with MyCAREER in NBA 2K13 and enjoyed it immensely, so I’ll definitely be giving Rising Star a try in the hopes that it will be a similarly engaging experience. Since I listed the things that I want to see in Dynasty Mode in a previous Friday Five, this week I’m taking a look at the five things I’m hoping to see in Rising Star as it makes it debut. Welcome to another Friday here at the NLSC and another edition of The Friday Five! If this is your first time checking out The Friday Five and you’re wondering what it’s all about, this is a feature that I post every Friday in which I give my thoughts on a topic that’s related to basketball video games, the real NBA or another area of interest to our community, either as a list of five items or in the form of a Top 5 countdown. The current gen version of NBA 2K14 will be on store shelves in a little under a month, while the next gen version of the game and NBA Live 14 will be launch titles for the PlayStation 4 and Xbox One come November. With the release of the games and a new NBA season right around the corner, this week I thought I’d take a look at five teams that will be fun and interesting to play with in this year’s games. Note that I’m not suggesting that these are the best teams to win with and they likely won’t be to everyone’s tastes, but they are five teams that I think are worth considering if you’re after a challenge or looking for an interesting scenario. It’s Friday once again, so welcome one and all to this week’s edition of The Friday Five! If you’re not familiar with The Friday Five and you’re wondering what it’s all about, this is a feature that I post every Friday in which I give my thoughts on a topic that’s related to basketball video games, the real NBA or another area of interest to our community, either as a list of five items or in the form of a Top 5 countdown. Many of us have been playing basketball video games for a long time and we’ve seen them come a long way over the years. Although those old games may appear to be quite primitive now, the best of them were actually quite good for their day. Should you go back and play them today, you’ll be reminded why you spent so much time with them all those years ago. However, you’ll also be reminded of a lot of odd, quirky things that you wouldn’t expect to see in one of today’s basketball games. So, this week I’m getting nostalgic once again and taking a look back at some oddities that I remember from old school basketball titles. Welcome everyone to another Friday here at the NLSC and another edition of The Friday Five! If this is your first time checking out The Friday Five and you’re wondering what it’s all about, this is a feature that I post every Friday in which I give my thoughts on a topic that’s related to basketball video games, the real NBA or another area of interest to our community, either as a list of five items or in the form of a Top 5 countdown. 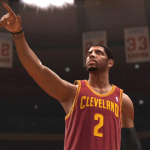 The announcement of Rising Star mode in NBA Live 14 came as very welcome news as single player career modes have become extremely popular in sports games, to the point where they’re basically a must for any title. 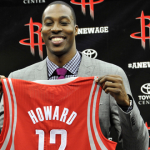 Given how much I’ve enjoyed MyCAREER in NBA 2K13, I’ll certainly be giving it a look. However, I’m still very much a Dynasty Mode fan, so I’m hoping that it has also received adequate attention as NBA Live looks to make a strong comeback. 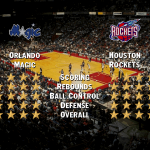 As such, this week I’m taking a look at the five things that I believe Dynasty Mode needs to do or have to provide a deep and enjoyable experience in NBA Live 14. It’s Friday once again, so it’s time for a new edition of The Friday Five! For those of you who are unfamiliar with The Friday Five and are wondering what it’s all about, this is a feature that I post every Friday in which I pick a topic that’s related to basketball video games, the real NBA or another area of interest to our community, then either give my thoughts on the topic in five points or compile a Top 5 countdown. As basketball fans and basketball gamers, we’re in a somewhat uneventful part of the year. The big names in free agency have signed on the dotted line and there aren’t too many exciting rumours making the rounds as we currently sit a couple of months out from the start of the 2014 season. NBA Live 14 and NBA 2K14 news is still at a trickle, so the conversation right now is more about speculation than analysis of any in-depth previews. Therefore, today I present five fun things to do in basketball games, to pass the time until more news starts to come in and the new season begins. Welcome to this week’s edition of The Friday Five! If this is your first time checking out The Friday Five and you’re wondering what it’s all about, this is a feature that I post every Friday in which I pick a topic that’s related to basketball video games, the real NBA or another area of interest to our community, then either give my thoughts on the topic in five points or compile a Top 5 countdown. Basketball games have come a long way, as have pretty much all video games as technology has improved through the years. As such, we’ve seen some outstanding basketball titles in recent years, with gameplay and features that allow us to easily sink many hours into them. That said, earlier basketball games still had their fair share of great features and concepts, some of which unfortunately haven’t been utilised in quite some time. 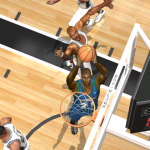 Therefore, in this week’s Friday Five, I’m taking a look back at some of the features from the older NBA Live games and picking five things that I’d like to see return in future releases. We’ve arrived at another Friday here at the NLSC, so it’s time for another edition of The Friday Five! If this is your first time checking out The Friday Five and you’re wondering what it’s all about, this is a feature that I post every Friday in which I pick a topic that’s related to basketball video games, the real NBA or another area of interest to our community, then either give my thoughts on the topic in five points or compile a Top 5 countdown. There’s no one “correct” way to play and enjoy basketball video games, though many basketball gamers have strong opinions on the subject. As with any video game community, there are different groups who all have their own expectations of each release and their own gaming philosophy. In this week’s Friday Five, I’m sorting the basketball video gaming community into five groups or categories; the five types of basketball video gamers, if you will.